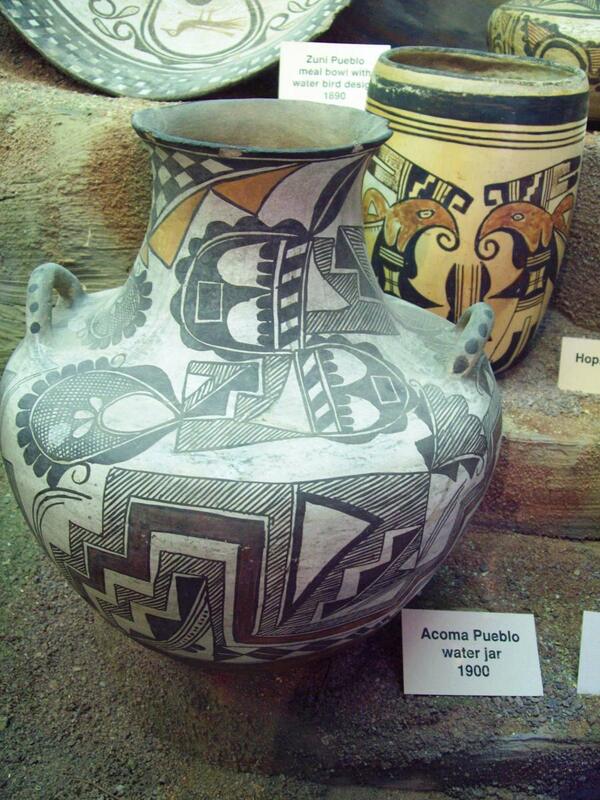 Credit for the invention of agriculture has been said to belong to Cherokee women. It is said that they discovered agriculture from the tiny sprouts of corn (known in earlier times as maize) that came forth from the seeds that they dropped near their homes. This lead to the discovery that when the land is cultivated and seeds replanted, they could reproduce crops. This began with the cultivation of corn over a thousand years ago. The Cherokee name for corn is Selu and is also the name of the first woman in Cherokee creation stories. 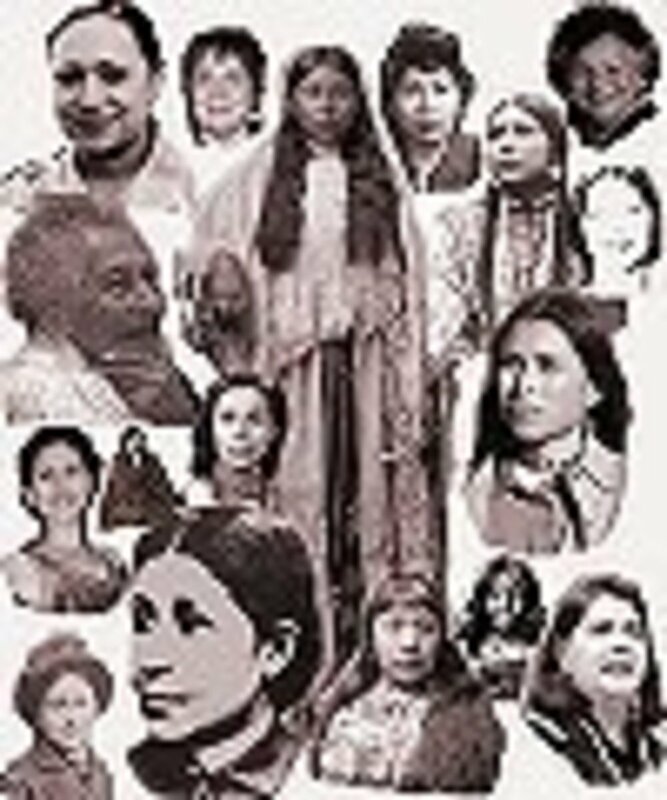 The Cherokee women were the primary farmers. By the 1820's, because of the influence of European immigrant culture, many Cherokee abandoned their traditional towns and lived in family groups in log cabins along the streams and river valleys. Although the land was still owned communally, the Cherokee took on a type of subsistence agriculture on small farms normally ranging from tow to ten acres in size. 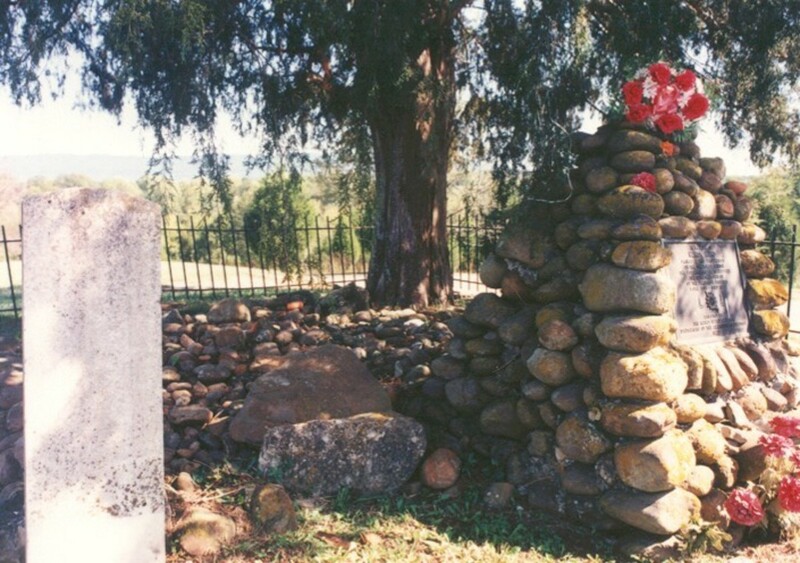 This marker is on the pyramid of stones marking her grave. 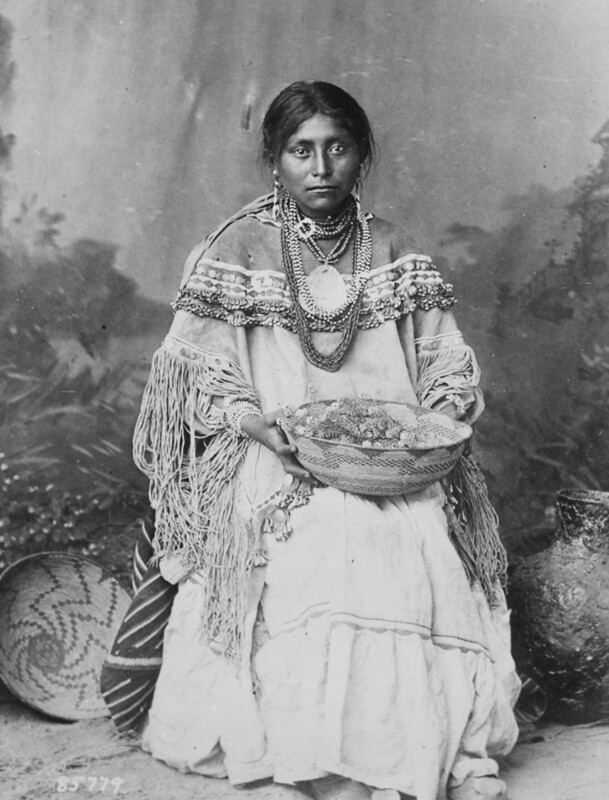 Nancy Ward, Cherokee name Nanye-Hiwas a Young bride when she was called upon to assist her husband during a battle with the Creeks. 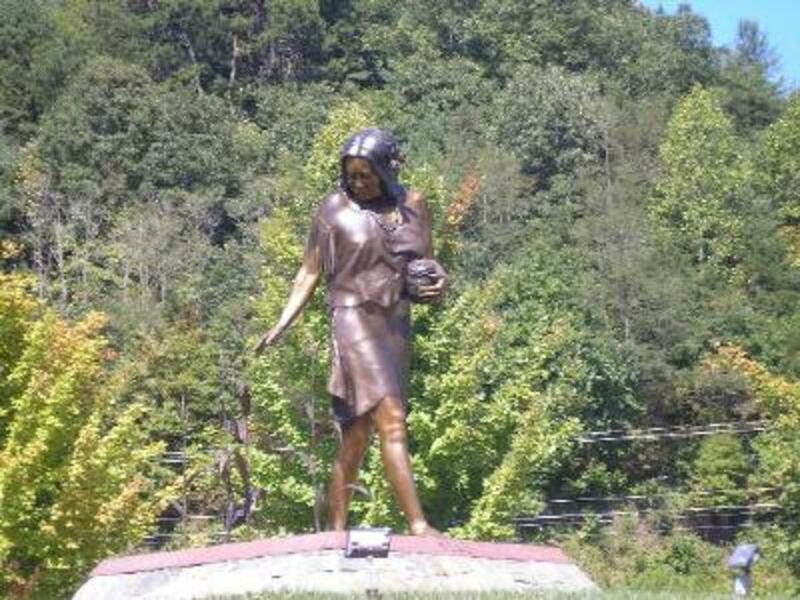 When her husband was shot and killed, she picked up his gun, continued the battle and led the Cherokee to victory. The Cherokee, in turn, made Nancy a "Beloved Woman". This position was reserved for brave and wise women who had served their people well. As a result of becoming a "Beloved Woman", Nancy had full voice and full vote in all tribal councils. 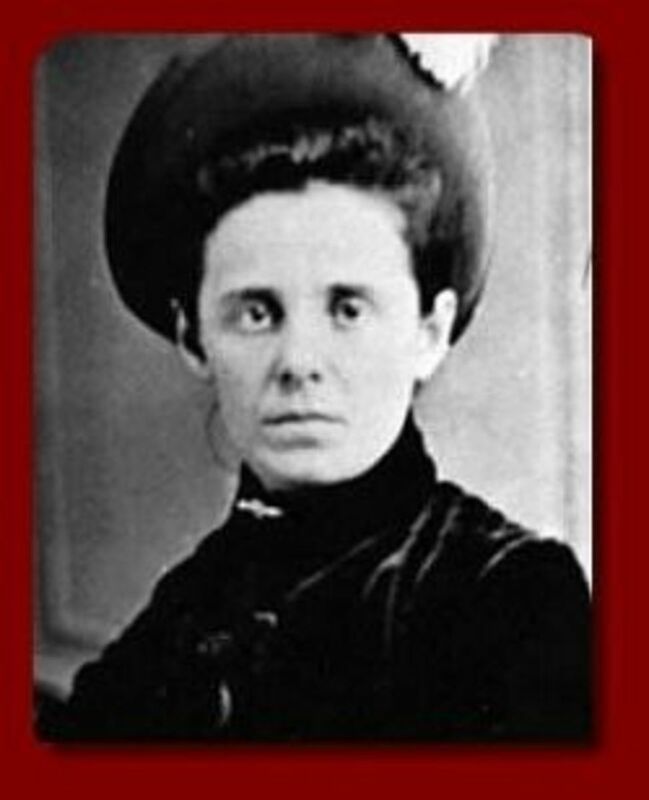 She was the final arbitrator of disputes and decisions that would affect the Cherokee. Her first official act as a "Beloved Woman" was to save the life of a white woman condemned to death. Nancy believed in peaceful co-existance with the whites. She gained the respect of both the white government and her people through her successful mediations and negotiations. Nancy traveled the territory diverting conflict between the European settlers and her people. She was the driving force behind many peaceful agreements and considered a true politician. 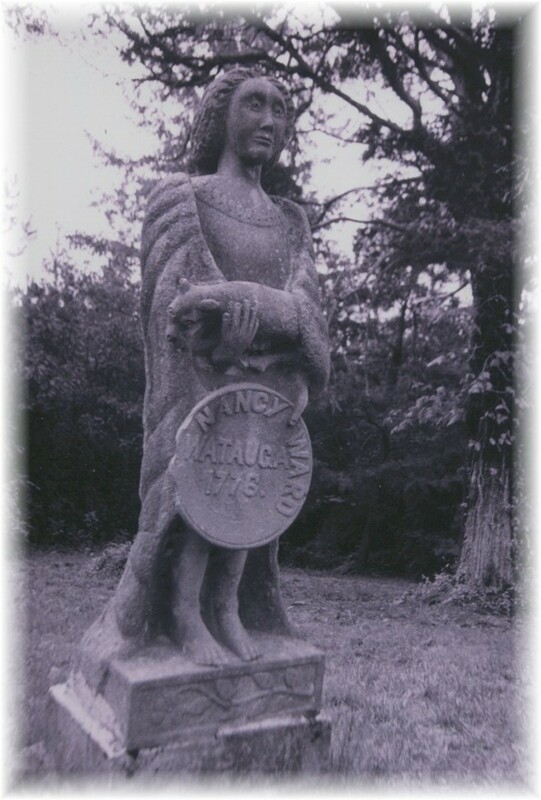 Nancy was instumental in negotiating the Treaty of Hopewell, the first treaty between the Cherokee and the white government. Through years of seeing treaty after treaty broken, she became more and more suspicious of the white government. Nancy tried speaking out against the sale of Cherokee lands to the whites but was not taken seriously. During the forcible removal of the Cherokee after the signing of the Treaty of New Echota, she was able to escape by fleeing into Tennessee. There, she married a white trader where they settled and operated a successful inn until her death. Nancy Ward is highly regarded among the Cherokee Nation, who have bestowed many honors in her name. There is also a Tennessee chapter of the Daughters of the American Revolution that is named for her. 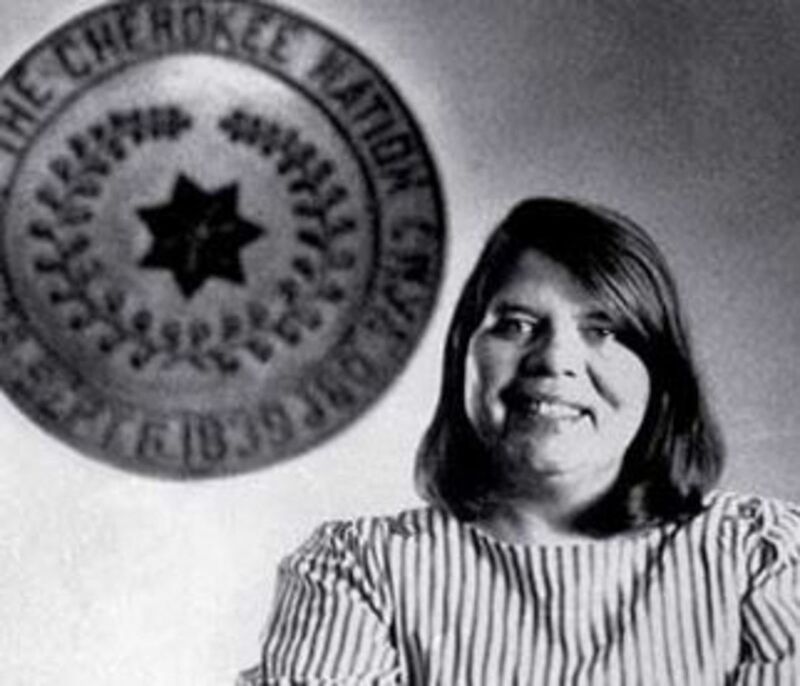 Wilma Pearl Mankiller, a Cherokee military term for a village protector, was born in November 1945 in Tahlequah, Oklahoma. She became both the first woman deputy and the first woman principal chief of the Cherokee Nation of Oklahoma. Mankiller's great-grandfather was among the Cheroke forcibly removed to Oklahoma along the Trail of Tears. 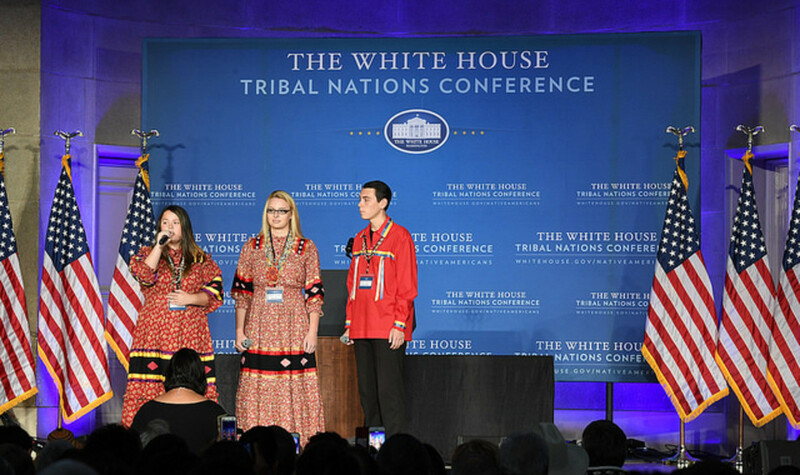 By the time of his arrival, the government had adopted a policy of allotment which worked against tribal bonds by changing the way Native American groups owned land. Mankillers' grandfather was alotted 160 acres in Eastern Oklahoma at a place called Mankiller Flats. This eventually became the homestead of Charlie Mankiller, Wilma's father. Charlie was a Cherokee and his wife, Irene was of Dutch Irish decent. Wilma was raised with four sisters and six brothers. In the 1950s, congress began to encourage (with offers to help) Cherokee and their families to relocate to cities around the country where they would be forced to adopt white ways. Due to a recent drought, Mankiller's father was finding it difficult to maintain his family in Oklahoma. Although he did not want to move to California, Charlie hoped that he could make a better life for them there and accepted a government offer to relocate to San Francisco. However, promises faltered and the money did not arrive. There was often no employment so their lives did not improve there. Despite the laughter that always followed the school roll call when the teacher said "Mankiller", Wilma finished high school. She went on to persue higher education and attended Skyline Junior College in San Bruno then San Francisco State College in the 1960s. At San Francisco State she met and married Hector Hugo Olaya de Bardi and their first daughter was born in 1964 and their second two years later. Their marriage would deteriorate and they would divorce in 1974. Wilma Mankiller became the first woman chief of the Cherokee Nation of Oklahoma, winning the election with 56 percent of the vote. 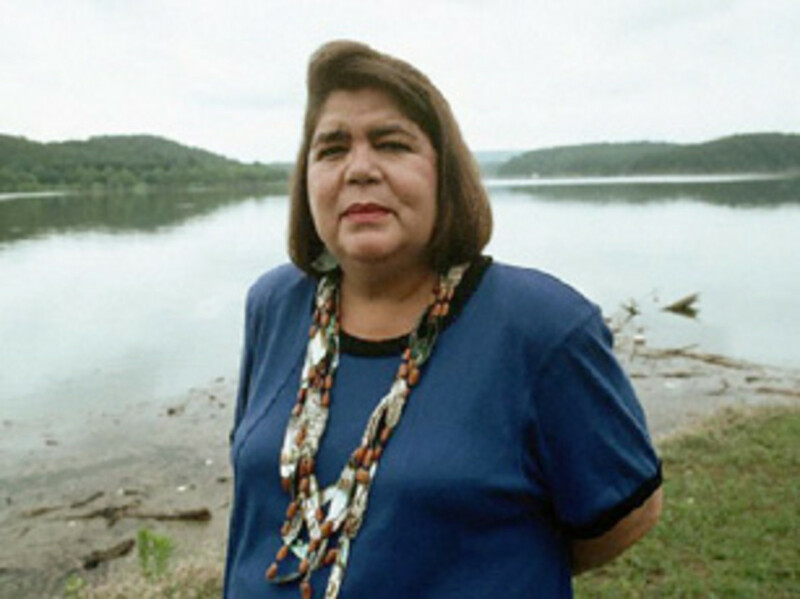 In college, Mankiller was introduced to some of the Native American activists who would soon occupy and reclaim Alcatraz Island for the Native American people. Alcatraz was the former site of a maximum security prison. The invasion of Alcatraz quickly became a focal point for many Native Americans, including Mankiller. Stirred by the bold move into Alcatraz by San Francisco State student Mohawk Richard Oakes, along with his "All Tribes" group, Mankiller now realized that her mission in life was to serve her people. In 1976, Mankiller returned to Oklahoma permanently and persued higher education. She attended graduate classes at Arkansas Fayetteville, which required a long drive each day. On her way home one morning, an automobile approached her from a blind curve as another automobile attempted to pass it. Although she swerved to miss it, the automobiles collided. 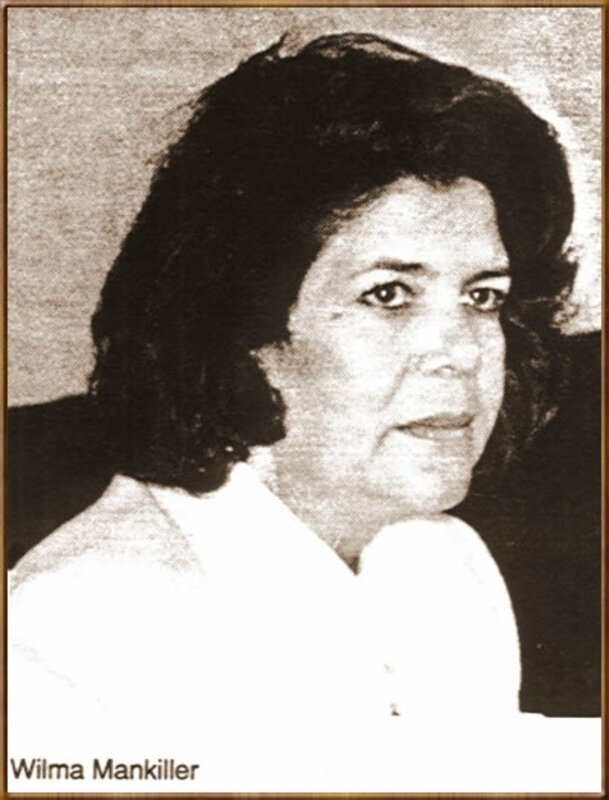 Mankiller was seriously injured and many did not expect her to survive. The driver of the other automobile, which turned out to be Mankiller's best friend, did not survive. Although it was both physically and emotionally difficult, Mankiller did recover. Wilma Mankiller on the day in 1985 when her election as chief of the Cherokee Nation was announced. When she recovered from the accident, Mankiller returned to her job with the Cherokee Nation. In 1981, she developed a proposal to help the small community of Bell, Oklahoma. It would be a model that other communities could follow as they rebuilt Cherokee settlements. Mankiller secured the money to rebuild and repair several of the houses in the community as well as supply them with a reliable water source. She directed the rebuilding and the construction of pipeline to bring in water. Although the nearest water source was 16 miles away, the men, women and children of Bell managed to lay the pipe that was needed. After completing the task in 1981, Mankiller gained a reputation for effectiveness among the Cherokee. Chief Ross Swimmer, the head of the Cherokee Nation, was impressed with her work and in 1983, asked Mankiller to be his Deputy Chief in the election and she accepted. They won the election and took office August 14, 1983. On December 5, 1985, Swimmer was nominated to head the Bureau of Indian Affairs in Washington, DC and Mankiller was sworn in as Principal Chief. She was then re-elected in 1987 and again in 1991 by the Cherokee. During the Bell community project, Mankiller had worked with a Cherokee named Charlie Soap. 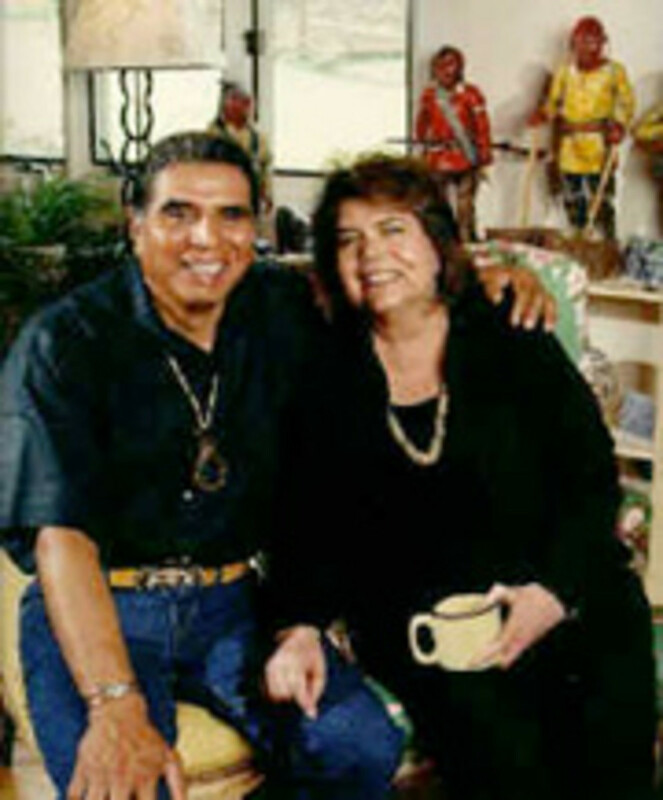 In 1986 they married and Charlie became a major advisor and supporter of Chief Mankiller. As Principal Chief, she planned to involve the Cherokee in their own community improvements. She helped develop industries and headed a corporation that included a motel, an electronics manufacturing plant and a bank. Mankiller raised 20 million dollars for new construction in Cherokee communities and 8 million dollars to fund a Cherokee job training center. There are new schools that teach the Cherokee language and customs. One of Mankiller's greatest achievments came in her effort to reunite the Cherokee Nation. The small group of Cherokee who had hidden from the authorities in 1830 eventually settled on a reservation in Tennessee. They were known as the Eastern Cherokee. The Eastern and Western Cherokee had remained divided since. 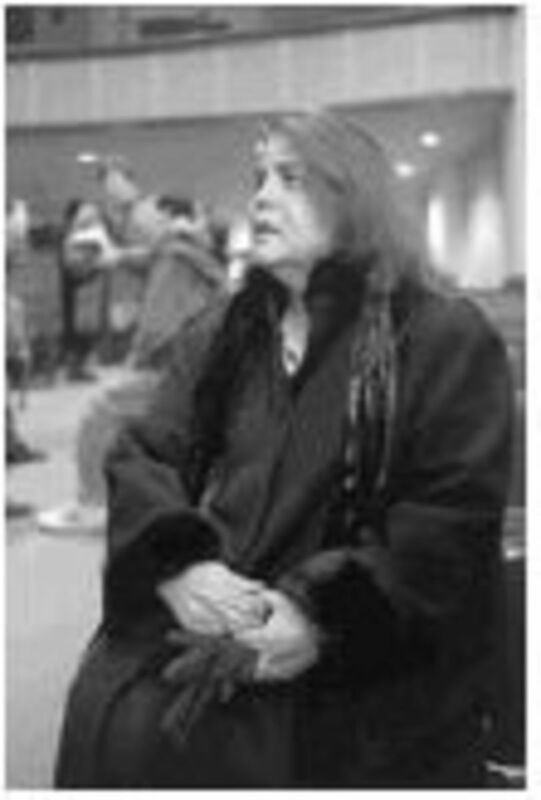 Mankiller presided over a conference of all Cherokee, the first step toward reuniting the whole Cherokee Nation. Power is now returning to the Western Cherokee and Wilma Pearl Mankiller has been an inspirational leader who empowers people to independence. Mankiller says that the key to Cherokee success is that the Cherokee never give up! 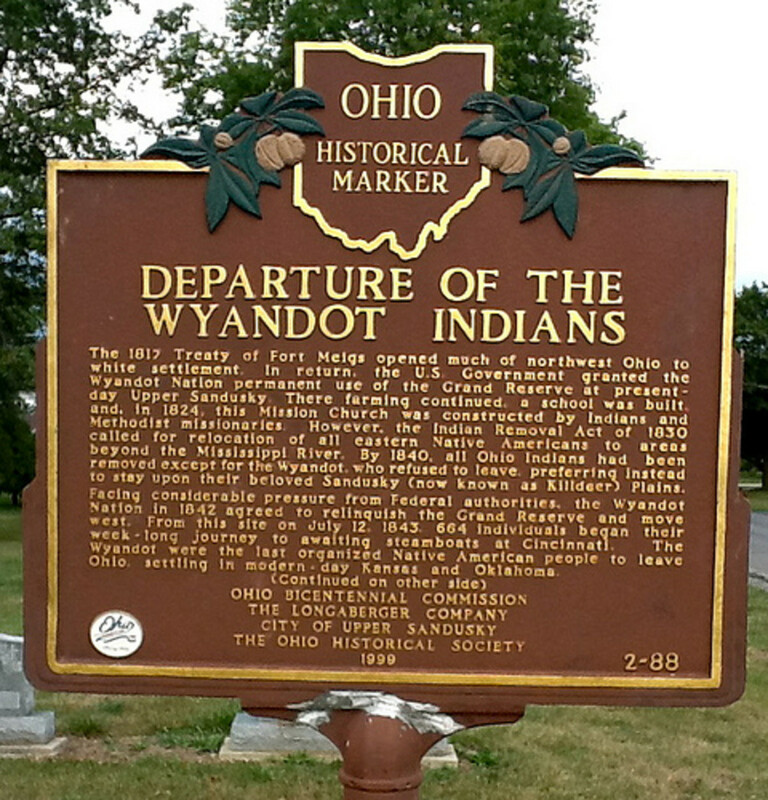 Was the Indigenous Wyandotte Nation of Ohio Forced Out or Paid to Leave? Thank you for this amazing article. I learned a lot today. My mother in law who is now deceased was named the 3rd Beloved Woman of the Cherokee. Her name is Marjorie Many Tears Lovelady. My husband has the proof but she is never mentioned as one of the Beloved Women in articles. She served as a nurse in the Korean War. I personally don't have all the information on why she was named this. I will have to ask my husband. gosh...so many innacuracies in this article...I don't know where to start. I am enrolled Cherokee Nation and am a descendant of nancy Ward, knew Wilma mankiller all my life and still interact with her two daughters Gina and Felecia on a regular basis. 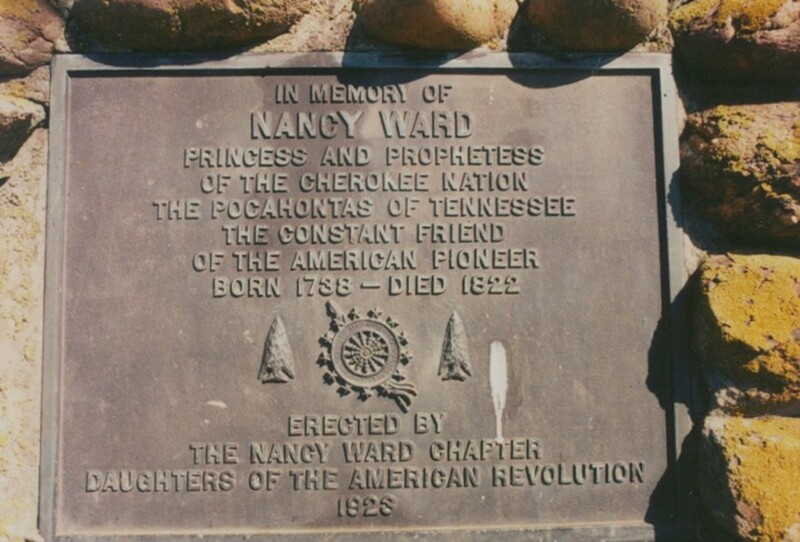 Nancy Ward died before the Treaty of New Echota and the Trail of Tears. The statue was NOT on a white woman's grave, but was on HER grave on top of the pyramid before it was stolen and has never been found. The land allotments in Oklahoma happened in the early 1900's, well after the Trail of Tears so it was not in place by the time Chief Mankiller's great grandfather arrived in Indian Territory on the Trail of Tears. Those are just a few of the inaccuracies I have time to correct. Do people not research anymore? Mary Elizabeth Scales is an ancestor of mine. She lived in Mount Airy. I never believed the old folks when they said they were descended from Native Americans until I saw it. Just didn't believe you would find a Cherokee in Surry county. There were a few there with the last name of Joyce and Hill. They apparently were from an enslaved group of Cherokee. I was so sure they would turn out to be from one of the "wannabee tribe" of Melungeons who claim every tribe that isn't paying close attention. Oh well. I won't go calling myself part Native. Just never though it was so special other than a stoic people. I really enjoyed the info displayed here. Thankyou! I have never heard something so beautiful , my Grandmother was a full blooded Cherokee and we are so proud of that unfortunatly she was raised in a boarding school in Mississippi when she was taken by this school master from Carolina , my dad is half Cherokee and half Scottish , i would love to put her in her rightful place in the cherokee nation , try but to no avail all we no is what she was ,my aunt use to sit and tell us story of how she got to Mississippi she knew her , i saw her picture she was beautiful, i might just move back to OKC some day , Mrs Mankiller you are the best may GOD forever watch over you and guide you in all of your endeavor. My Great Great Grandmother was a western cherokee and a princess who married an Irish man the pictures of her were lost but the stories are not I am myself Western Cherokee, Irish and African American kids used to laugh when I told them I was not born from slavery and when my mother was a little girl she said she was embarrassed to show the picture of her greatgrandmother or tell people because that cherokee woman was short and stout but I tell my son and am proud. When he was born his hair was long down to the back of his neck and cold black people often asked why and I told them that is his great great great grandmother showing herself through us still. 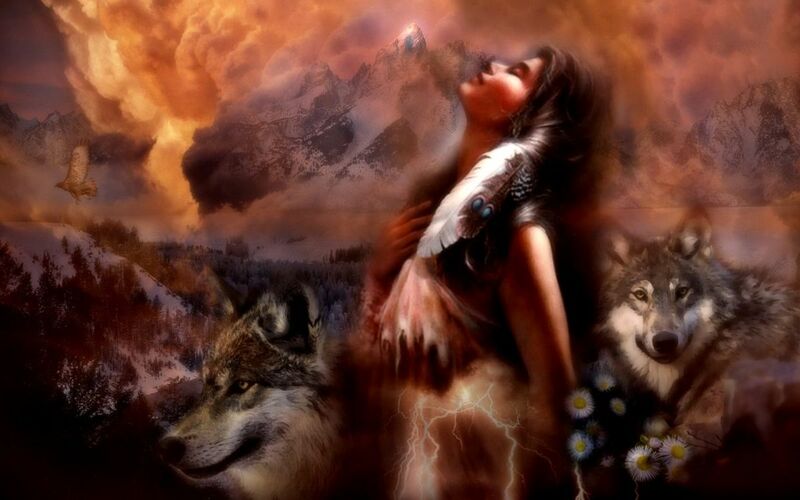 I pride myself on being a Cherokee and a descendant of Nancy Ward. Loved the cemetery pic. Thank you. Wilma Mankiller once presented my grandparents with an award for some books that were written about those on the Trail of Tears. I was young, but I do remember her being a very gracious lady. My grandmother was elderly and in poor health. Ms Mankiller looked at my grandma and saw that she was not well and took it upon herself to move the award presentation to the beginning of the meeting. I will never forget that. I'm still so thankful. I pride myself on being a Cherokee and a direct decendant of Nancy Ward and Caleb Starr. I am looking for any information about my great grandmother. All I have are two names, Tish Ward . thought it was great. helped me a lot. please continue. WONDERFUL Work! Loved the cemetary stone for Nancy Ward. Thank you for this piece on Mankiller, she is an inspiration to all Cherokee Women. Nancy Ward was an ancestor of mine. After many years of research my Grandmother has done we have documented it all down. This is very interesting Im glad others are interested in the Indian Heritage. Thanx for the new Knowledge you have past on with this site!!! God Bless!! Thanks so much for dropping in and posting. I think we will recover and return stronger than ever! THIS IS GREAT. 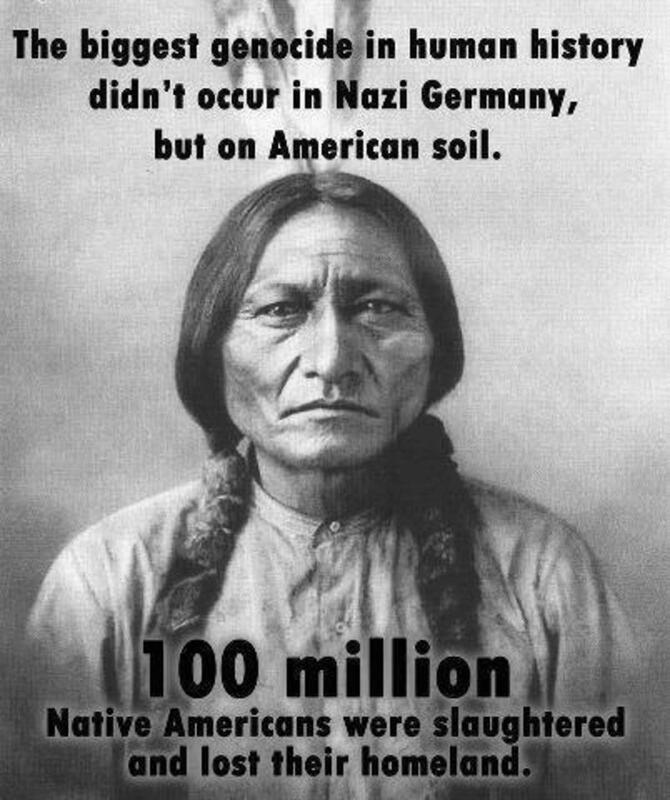 AND I HOPE OUR GREAT SPIRIT HELPS MORE PEOPLE REALIZE WHAT HAS HAPPEN. I KNOW OUR PEOPLE WILL NEVER RECOVER FORM THIS, BUT WE WILL KEEP MOVING FORWARD AND TEACHING THOSE THAT REALLY WANT TO UNDERSTAND. I TEACH THOSE WHOM WILL LISTEN AND ASK. I HOPE I AM MAKING A CHANGE IN THIS WORLD. MAY EVERYONE BE BLESS WITH HAPPINESS AND GOOD SPIRIT. THANK YOU ! Hi, Yenseca! Thanks for stopping by and I certainly agree. There is no way to undo what was done in history but hopefully we can all learn from it and repect each other in the future. Very interesting. I do hope that aboriginal people will be more respected. It has been too long and too hard a fight for them to get what was theirs to begin with. Hi, MrMarmalade! Thanks for stopping by! I really appreciate all the support and I will be working on another tomorrow! If you have any preferences on a particular subject, post it here and I will work on that as well. Thanks again! A marvelous piece of American history. Hi, Donna! Thanks for dropping by! Debating on what to do the next hub on LOL. Probably be tomorrow before I get started on it. One of these a day is pretty much all the hours there are LOL. But I do look forward to the next one. Glad you enjoy them! That was absolutely fantastic Bonnie. I loved it. More please, this topic is fascinating.